The Ancient Origins Webinars (free access for Silver and Gold Members) and Talk to an Expert series (free access for Gold Members) are a membership benefit that provide members with online talks and discussions by authors, researchers, and experts in a variety of fields relating to ancient history. Non-members and Bronze members may still view new Webinars but will be required to pay an access fee. An additional benefit for Silver and Gold members will be the ability to access recordings of previous Webinars. Not a Member yet? From ancient times we know of two calendrical systems that have been claimed to be able to predict the rise and fall of civilizations. One is from the West, the Mayan calendar system and another from the East, the Yuga system of India. The two systems are not identical but have significant points in common to the point where it must be asked whether they originally aimed to describe the same reality. This exclusive Ancient Origins Premium webinar with guest author Dr Carl Johan Calleman presents a background to the two systems, and establishes to what extent they actually describe the beginning and evolution of human civilization. Especially at our current time of a potential great shift in human civilization, knowledge about the factors governing the rise and fall of civilization may provide knowledge of critical importance for ourselves. Welcome to a discussion about the two most significant ancient systems aiming to describe this. 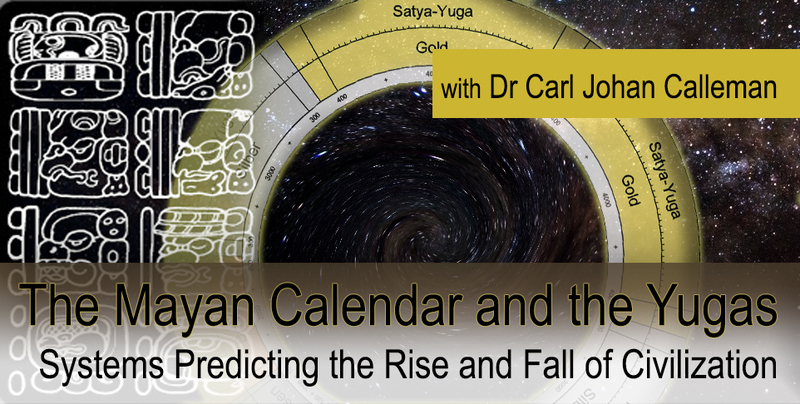 Dr Carl Johan Calleman is the author of five books based on the Mayan calendar that have been translated to fifteen languages and his known as the main proponent of the idea that the Mayan calendar reflects the evolution of consciousness. He holds a Ph.D. in Physical Biology from the University of Stockholm. He has also lectured about the Mayan Calendar in more than twenty countries. 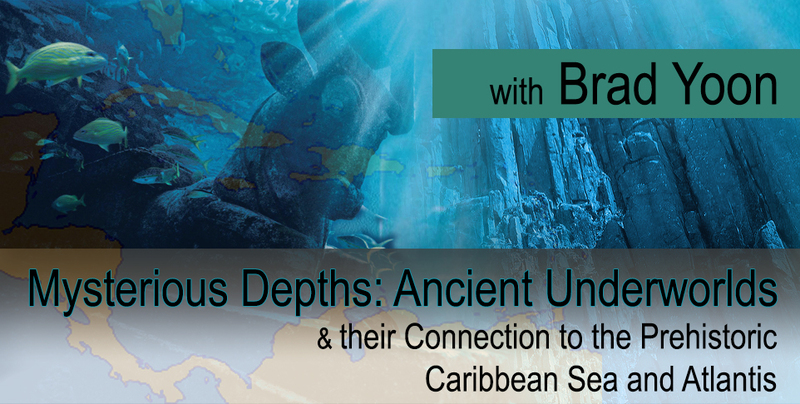 Ancient Origins guest writer Brad Yoon has written on the theory that the Caribbean Sea was once a dry basin, and might be connected to the ancient legends of flood myths. 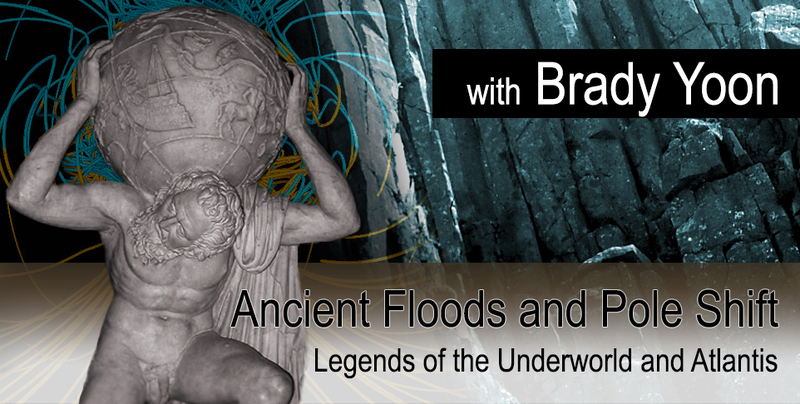 In this much-requested follow-up Ancient Origins Webinar, Brad delves deeper into how the prehistoric flooding of the Basin may have caused a planetary pole shift, and affected the last ice age —spurring myths, legends, and chronicles of ancient places beneath the sea. Perhaps we may find that the lost continent of Atlantis has been a part of our collective memory long before Plato, and is a story which has been passed down, generation by generation, over the millennia, in every culture. Brad Yoon is a software engineer and writer who researches lost civilizations and other ancient mysteries in his spare time. He has presented his work at CPAK 2014 and with Ancient Origins Premium. See a few of his articles; “The Legend of Atlantis: Between Ancient Ruins and a Philosopher’s Tale” and “The Exceptional Underwater City of Cuba: A New Theory on its Origins – Part I”. Ancient Origins guest writer Brad Yoon has written on the theory that the Caribbean Sea was once a dry basin, and might be connected to the ancient legends of floods and myths. 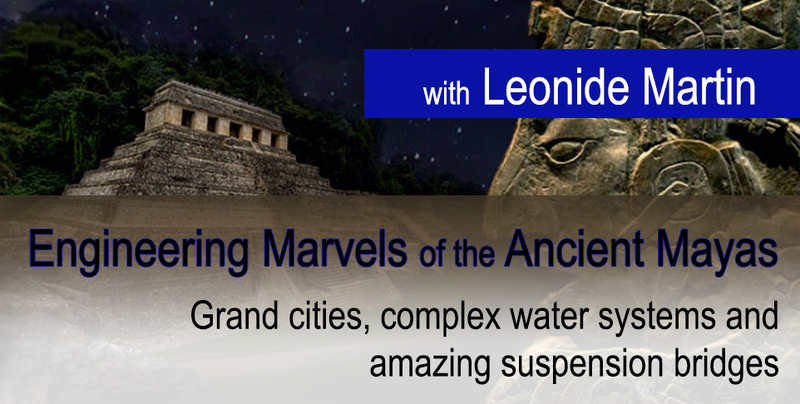 In this webinar, he connects the dots on the ancient places beyond—underworlds of the living and the dead, such as the Greek Hades, Tartarus, Oceanus, the Mayan Xibalba, and Egyptian Duat. He raises the possibility of a large expanse of land situated below sea level—not a land below our feet, but a land so conspicuously lower than other lands that it came to be singled out and designated as an “underworld”. Did a dry Caribbean Basin exist in prehistory? Was a catastrophe to change the land of the living into an abode of the dead? Could it be the underworlds that these various cultures across the world speak of are not fictional but are a single real place that existed in the remote past? Brad Yoon studies the myths of the underworld, compares and contrasts them, to get a clear picture of what this ancient land was like, where it was, how it was created, how it was destroyed, and why we can't see it anymore. The story of Father Crespi is a mysterious and controversial account of a priest in Ecuador involving claims of unknown civilizations, strange golden artifacts, a subterranean cave system containing a metallic library, depictions of strange figures connecting America to Sumeria, symbols depicting an unknown language, evidence of extra-terrestrial contact, and a Vatican conspiracy involving thousands of missing artifacts. But how much of the story is true? 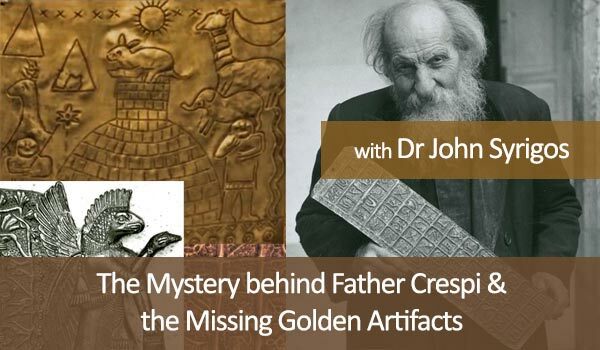 In this Webinar, Ancient Origins’ Co-Founder, Dr Ioannis Syrigos, will talk about his investigation into the Father Crespi puzzle, including his exploration of the mysterious Tayos Caves in Ecuador where some of the artifacts were allegedly found, insights from the Shuar Indians, and his exclusive access to the hidden vaults at the Central Bank of Ecuador containing thousands of Father Crespi’s artifacts. Dr Syrigos will also share photographs of artifacts never publicly shown before. 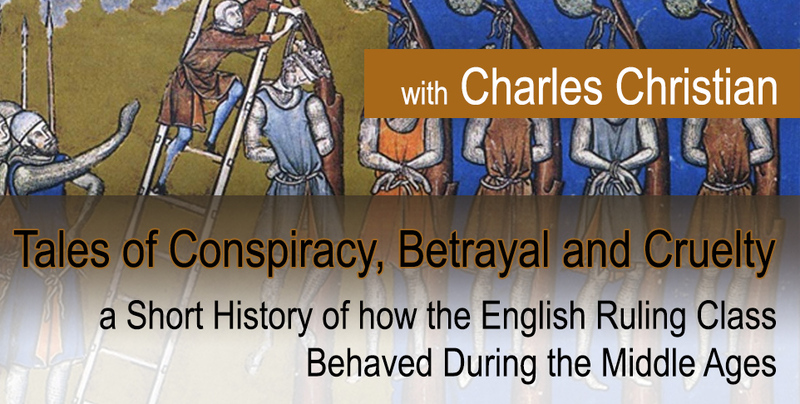 It may have been the era of Magna Carta and the birthing of the principle that all should be bound by the rule of law, but in this webinar, author Charles Christian will be providing some snapshots from the reigns of William Rufus, King Stephen and King John to illustrate not only just how uneasy lay the head that wore the crown but also how treachery and cruelty were commonplace within the medieval royal court. Charles Christian is a professional writer, editor, award-winning journalist and former Reuters correspondent. 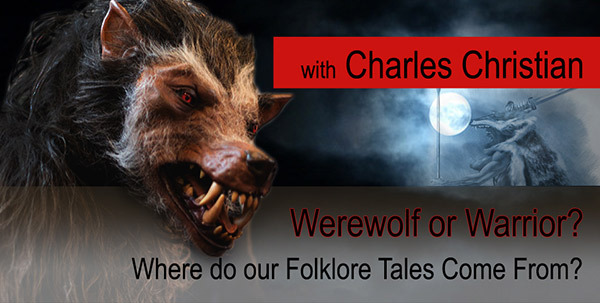 His most recent non-fiction books are A travel guide to Yorkshire’s Weird Wolds: The Mysterious Wold Newton Triangle and Writing Genre Fiction: Creating Imaginary Worlds - The 12 Rules which has been an Amazon.com top 20 best seller since publication in early 2014. More bio and book at his author profile. In the 1960s, a team of researchers came across numerous mummies enshrined in special temple halls in northern Japan. Amazingly, they had preserved themselves while still alive, using a procedure virtually unknown to the outside world. If it were not for their discovery, the techniques used and the reasons behind their suicidal undertaking might have been forever lost. Join us for a Webinar that describes the individuals who carried out this process, how they succeeded in mummifying themselves, and the incredible reasons behind the act. With pictures, personal accounts, and scientific and religious explanations to explain this phenomenon, the Webinar will be informative and unique. 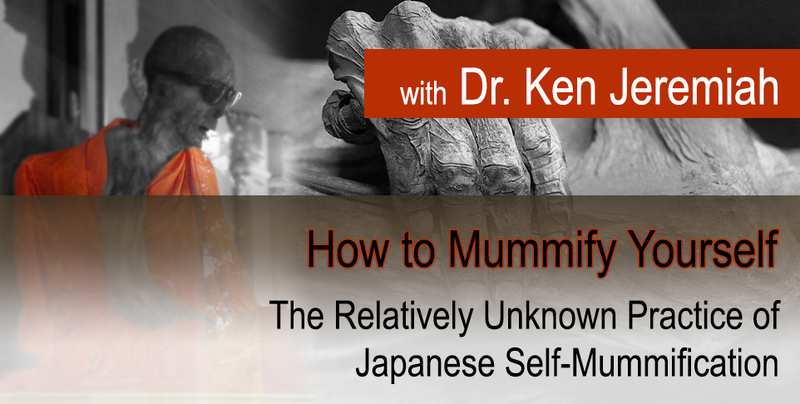 Hosted by Ken Jeremiah, author of Living Buddhas, the only English-language book about auto-mummification. As Americans prepare to vote in the first US presidential election with a major party woman candidate, it's instructive to realize that women at the head of government is nothing new. 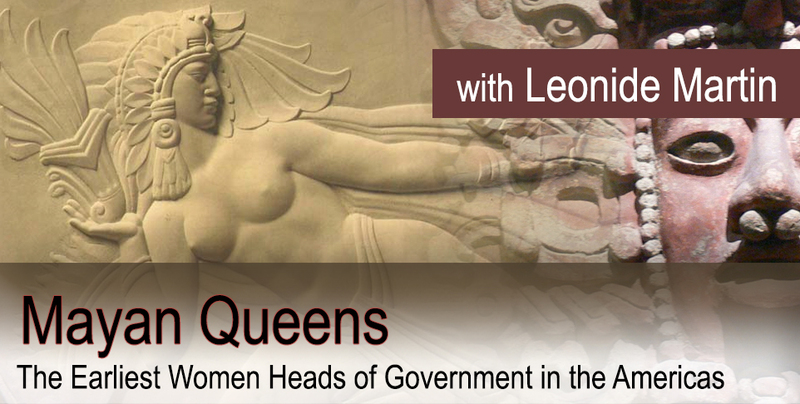 In a much-anticipated return, guest author and expert Leonide Martin speaks in an Ancient Origins Premium Talk with an Expert chat, discussing Mayan Queens. The ancient Mayas were the first culture in the Americas to have numerous women in highest leadership positions. These "Mayan queens" were actually K'uhul Ixik or "Holy Ladies" and frequently given the masculine title K'uhul Ahau, "Holy Lord." The Mayan rulership system did not work like the European one; succession was not strictly hereditary although several Maya dynasties ruled for hundreds of years. Male succession was generally preferred, although many instances of women ruling in their own right have been recorded. Women rulers planned military strategies and at times led troops as Warrior Queens. Noble and elite women had high status in Maya society. Insights into how Mayan women rulers shaped the destiny of their people are given in my series Mists of Palenque, the stories of four great Mayan queens from the sixth through the eighth centuries CE. Leonide Martin is a retired California State University professor, former Family Nurse Practitioner, and is currently author and Maya researcher, studying Maya archeology, anthropology and history from the scientific and indigenous viewpoints. Unusual artifacts were often reported along with giant skeletons all over North America: extra-large tools and weapons, tablets with peculiar writing, metal artifacts, mysterious ancient coins and medallions—even an ancient gun. All these out-of-place-artifacts were found in the graves of giants, and some can still be seen today. 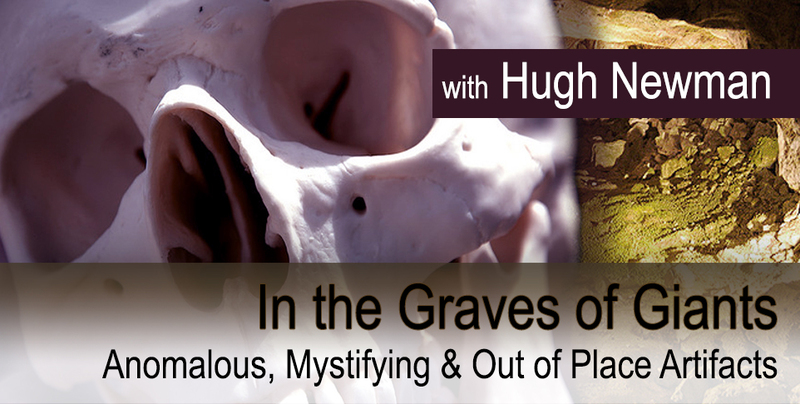 In this much-requested Ancient Origins Talk to an Expert chat session, Hugh explores the strange and anomalous artifacts that have been uncovered in the graves of ‘giants’ in North America and looks at the wider phenomenon based upon the finds. Hugh Newman is a world explorer, megalithomaniac and author of Earth Grids: The Secret Pattern of Gaia’s Sacred Sites (2008); co-author of Giants On Record: America’s Hidden History, Secrets in the Mounds and the Smithsonian Files with Jim Vieira (2015), and is published in three 'Ancient Origins' e-books. He has been a regular guest on History Channel’s Ancient Aliens and Search for the Lost Giants and organizes the annual Megalithomania conferences and tours and co-organizes the Origins Conference in London with Andrew Collins. His latest project is a follow up to Giants On Record, investigating giant accounts in the British Isles. 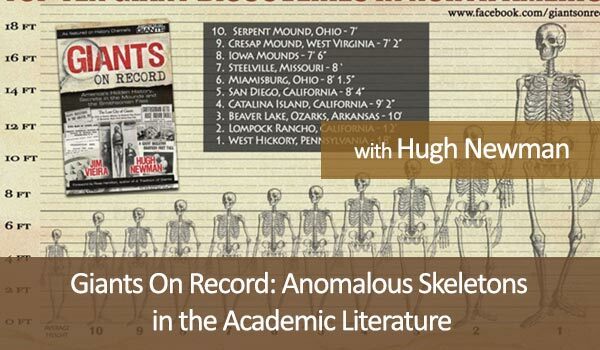 Be sure to revisit Hugh Newman’s premiere Ancient Origins webinar: Giants On Record: Anomalous Skeletons in the Academic Literature, and all the great webinars in our ever-growing archive! Join History Channel personality Dr. Ken Jeremiah for a Chat with an Expert on June 28th at 7:30 ET. Ken has written numerous books, including Living Buddhas, Christian Mummification, and Eternal Remains. He will be leading a conversation about the religious and spiritual beliefs that make bodily preservation necessary in worldwide cultures. 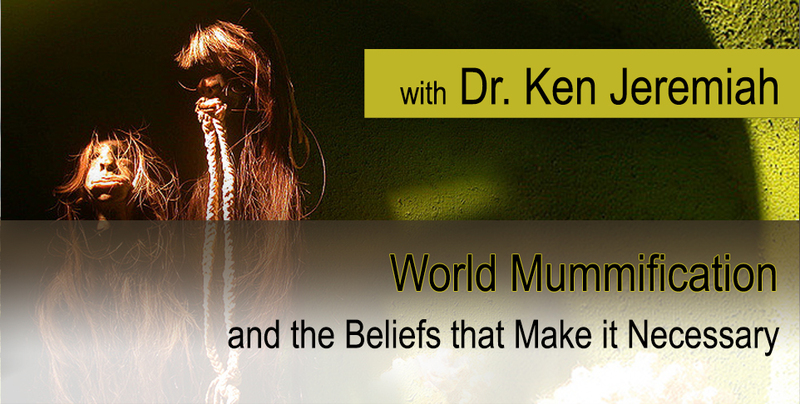 It is entitled World Mummification and the Beliefs that Make it Necessary. Many topics will be covered, including Europe’s bog bodies, the mummification of Christian saints, the amazing process of Japanese self-mummification, and the Jivaro practice of shrinking heads. Mummies, whether they were naturally or artificially preserved, fascinate the living. Their existence causes humans to ponder the past, and to consider their own inevitable deaths. While researching the reasons behind mummification, it becomes clear that despite apparent cultural differences, human beings are alike. Their ideas concerning life and death are also similar, if not downright the same. From indigenous tribes in the Americas that smoke dry their leaders, to Europeans who preserve and then dismember holy bodies, the underlying reasons are universal. Attendees will discuss the ultimate significance of life and death based upon worldwide practices and beliefs. It should be an interesting and inspiring session. We hope you can join us! How to Attend: The Talk to an Expert sessions are available to Gold Members only. If you are a Gold Member, you will receive an email with registration details.